As the working week draws to a close, it can be tempting to let your style slide, especially with the dress-down Friday policy that many offices abide by. Okay, so you're hardly going to rock up in a pair of joggers, but remaining your usual polished self can be pretty tough when you also want to be part of the casual workwear crowd. To guide you through this predicament, we found six stellar outfit ideas that are comfortable and casual-Friday appropriate yet still guaranteed to get your boss's attention in the best way possible. Check them out, along with our best casual-Friday tips below, and shop the key pieces needed to achieve each look! 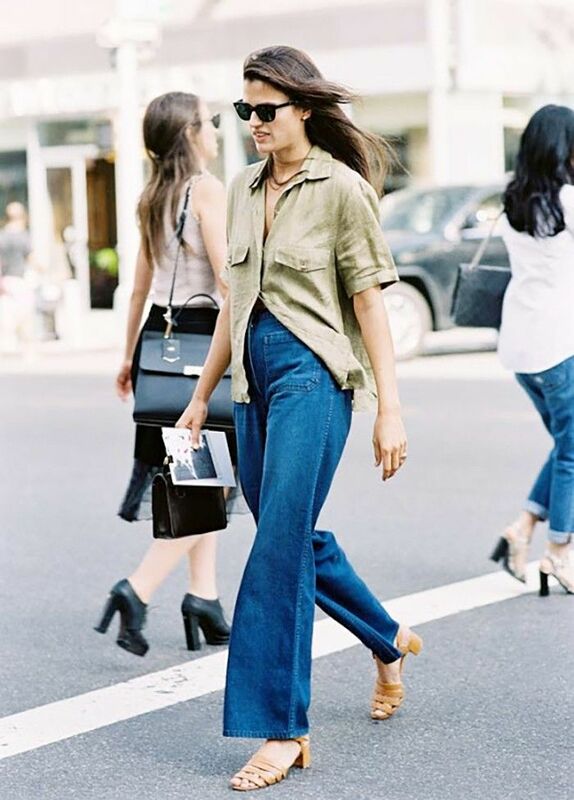 Style Notes: When wearing flared jeans to the office, opt for a pair that's more trouser-inspired as opposed to form-fitting. Style Notes: A longline vest will pull any outfit together instantly—perfect for those days when you feel like you have nothing to wear. Style Notes: A belted knit dress has both comfort and polish going for it. Style Notes: A solid-coloured jumpsuit is sleek enough to get away with wearing sneakers to the office. Style Notes: A T-shirt and block heels give a relaxed feel to an updated version of a suit. Style Notes: To avoid looking sloppy, make sure your tunic isn't too long and that your jeans are tailored and undistressed. When should you wear heels? Let our columnist Ashley Madekwe help you make that decision.